Last year we tested a couple of toys for the Rainbow Toy Awards which was great fun.This year they have have asked bloggers to write a blog post about your favourite toy and they will select testers from the submitted posts. 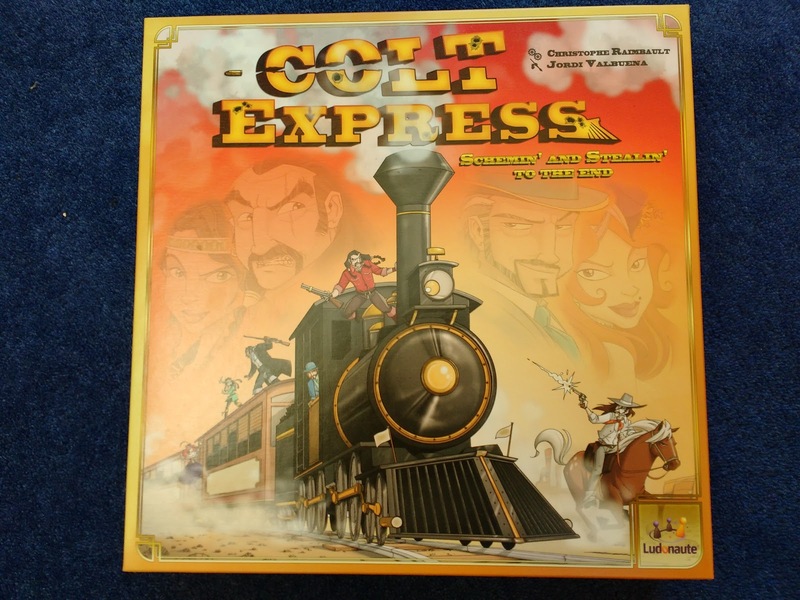 It was quite hard to decide on our favourite game as we all enjoy playing board games and have quite a collection but I finally settled on Colt Express which is a game we all love. Set in New Mexico in 1899, Colt Express is a board game without a board! Instead you move around a 3D model of a Wild West steam train, complete with carriages. 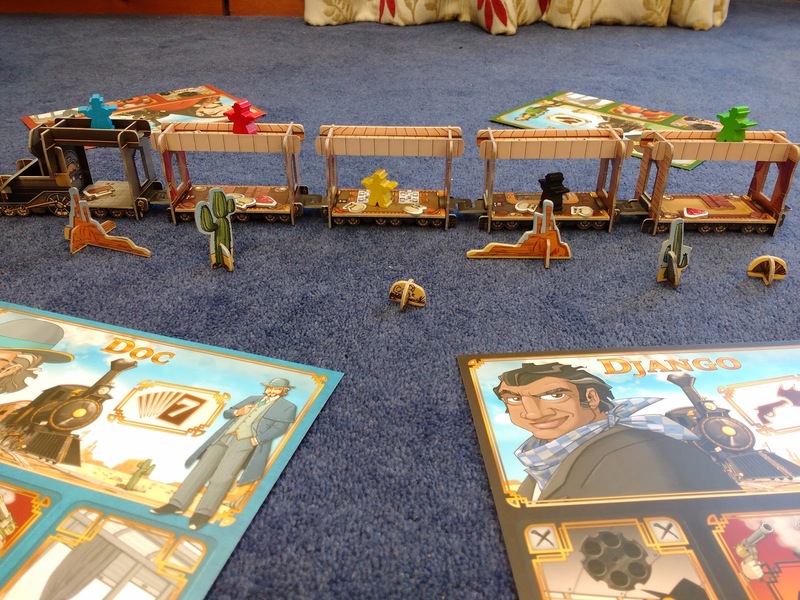 The wooden figures represent the bandits, who travel through the train collecting as much loot as possible, whilst avoiding being shot or punched either by other players or the local Marshal! Each bandit has a special skill to help them gain more loot than the other players but their destiny is decided by the cards so it doesn’t always go to plan! Whilst the instructions say that players should choose their character, we think it is more fun to draw the character randomly as each one has their own special abilities and it adds more variety to the game. Each round of the game is played in two parts, first the Schemin’ and then the Stealin’. Players use strategy and concentration as well as luck to win the game. 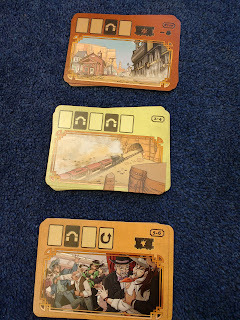 During the schemin’ phase players place action cards onto a central pile, with the intention of moving their bandit through the train and picking up loot on the way. The reality is not that simple, other players will use their own action cards to thwart your best laid plans! To make things even harder, some of the action cards are laid face down (when going through tunnels) so everybody is in the dark about what the other players are planning. These actions are then played through in sequence during the stealin’ phase of the game. Actions include moving through the train, climbing along the roof, stealing loot and punching or shooting the other bandits. 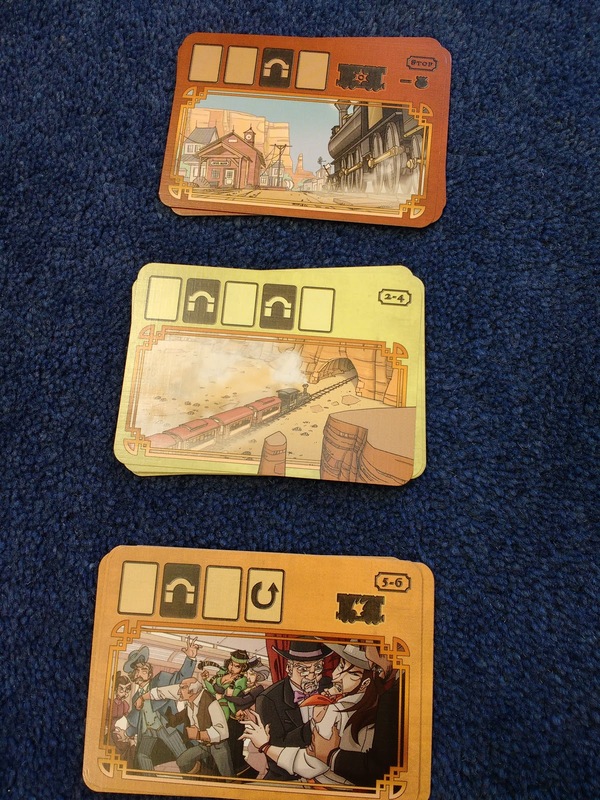 To complicate matters the local Marshal is also on the train and is trying to stop you, guided by the other players. The game can be played with 2 players but is definitely more fun with more. 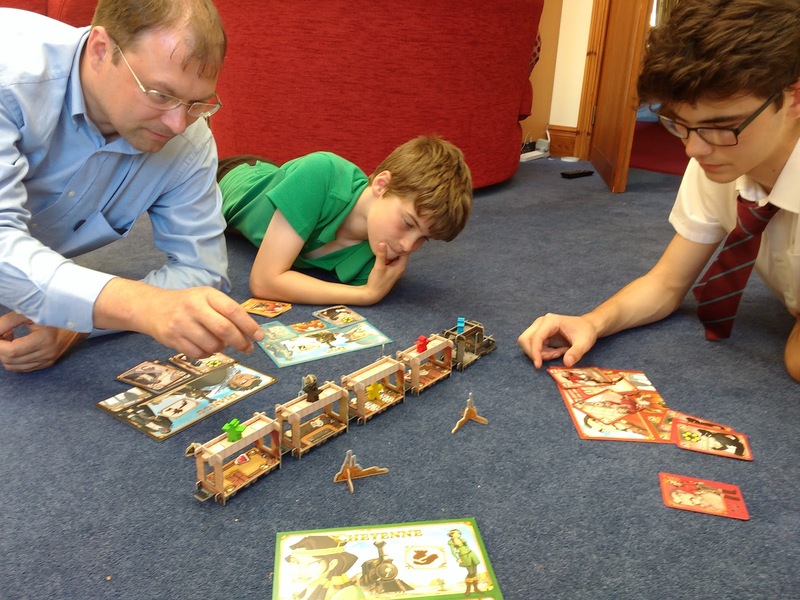 No two games are the same and as a game only lasts about 30-40 minutes it is the perfect length for school nights.